Food processing industry in Australia is one the major industries providing employment to a vast number of people. According to ABS, during 2013-14, the employment in food and beverage manufacturing in Australia was approximately 222,900 people, representing around 23.9% of the total manufacturing employment. This translates into a wide range of jobs and career options to those looking forward to making a career in the food processing industry. One of the major tasks involved in food processing is operating the machines and preparing the foods for processing using a wide range of equipment and methods. 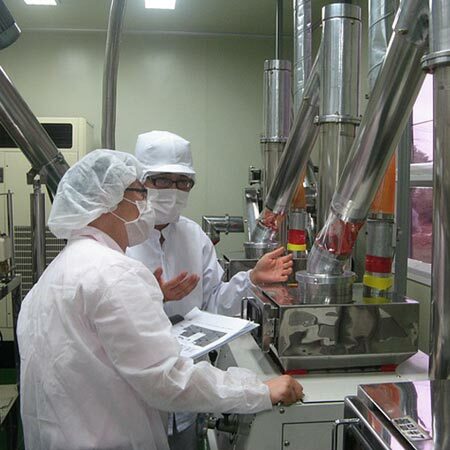 As such, the job of a food process worker is in high demand. If he is entrusted with storage and conservation of grain, the food process worker may have to undertake many tasks like sampling of grain for analysis, keeping records of silo stocks and sewing bags using industrial sewing machines and much more. If working in a grain mill, he will have to do a lot of lifting, pushing and dragging. The working conditions might be dusty, noisy, hot or cold as per the nature of food being processed. A full-time food process worker earns around 55,328 dollars per annum. Pharmaceuticals production machine operator – he would operate equipment used to manufacture pharmaceutical products such as pain relievers, first aid dressings, cosmetics and toiletries among others. Brewery worker – he is involved in the production, testing, packaging, storing and dispatch of beer in kegs, bottles and cans. Poultry processor – he is entrusted with the slaughter, dressing, cutting, trimming, and preparation, before packing the poultry. Pet food processing machine operator – he operates the equipment for manufacturing pet food. margarine and other edible oil products. Dairy process worker – he operates a wide range of mechanical equipment to produce dairy products such as cheese, butter, milk powder, yoghurt, fresh milk and cream among others. Fruit and vegetable process worker – he operates the equipment required to prepare canned and frozen fruit and vegetables, sauces, jams and fruit juices using different methods. Tea and coffee processing machine operator – he assists in processing tea as well as in roasting, grounding of coffee beans, and making instant coffee powder. Soft drink and syrup making machine operator – he operates the equipment to produce syrups, fruit juices and soft drinks. Apart from these, there are other job options like brewer, cheese maker, confectioner, food technician, packer and many more in this industry. If you wish to make a career in food processing, you should get a strong foundation for the job by enrolling in a Home Economics course at school/college.